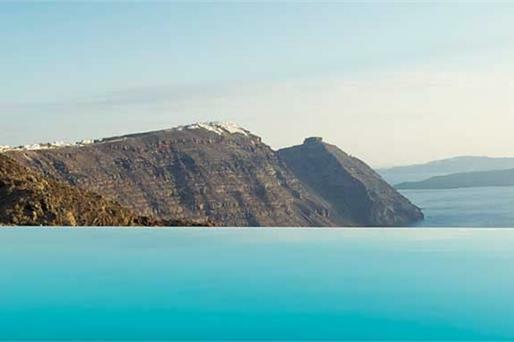 Situated on a dramatic cliff at Imerovigli, high above the Aegean Sea, this intimate getaway will transport you to a world of bliss and inspiration. 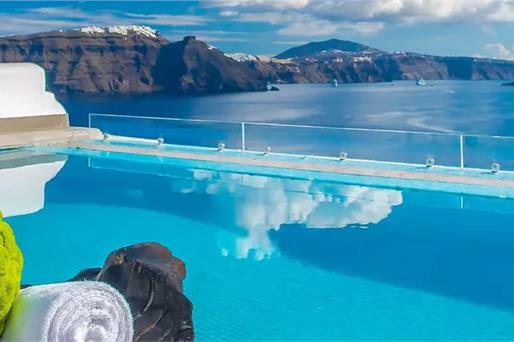 Whether you wish to immerse in the absolute tranquility of the scenery, restore your inner balance or fall in love, the Andronikos Santorini is the perfect spot from which you will engage into the magic of Santorini. 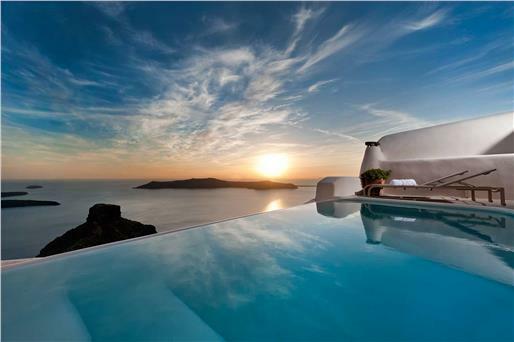 The hotel is Located around 4 km away from Fira, the central town of the island. 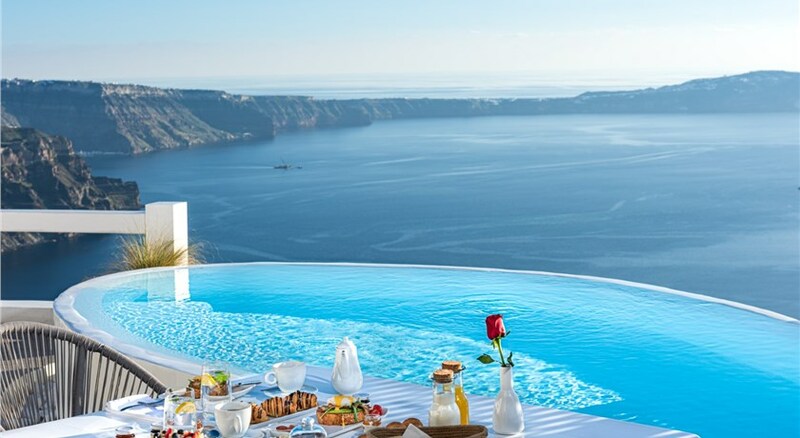 Pamper yourself with our signature services, enjoy a cocktail or your dinner at the Skybar or lay back in the comfort of your own outdoor Jacuzzi while witnessing the beauty of the famous Santorini’s sunset. Last but not least, give yourself the opportunity to savour the original Greek cuisine and discover our delightful Greek breakfast as well. Whether you indulge in the comfort of your room with the splendid view of caldera or at Skybar’s pleasant and serene environment, nothing will spoil your moment of ultimate relaxation and privacy. Just unwind yourself, watching the divine scenery, letting your thoughts follow the shimmering lights until they vanish into the magic blue horizon. 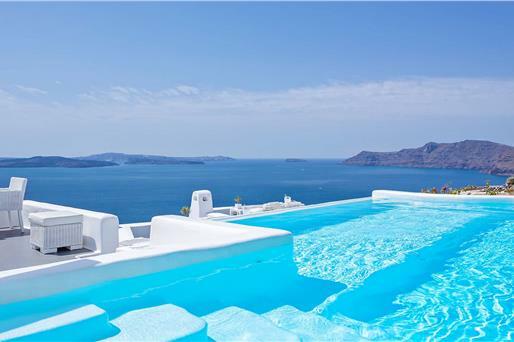 Boasting magnificent views of the world-renowned Caldera , Andronikos Santorini blends modern aesthetics with traditional Cycladic architecture. 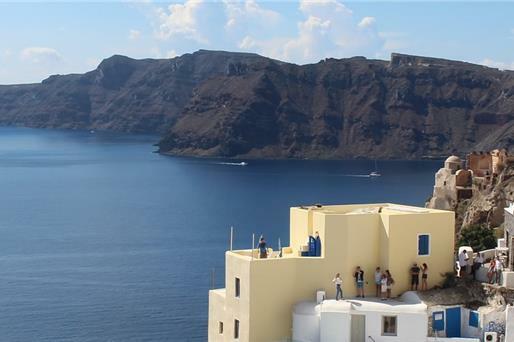 The cliffs of Imerovigli , from where guests enjoy the scenic sunset views that Santorini offers, are just a short walk away. 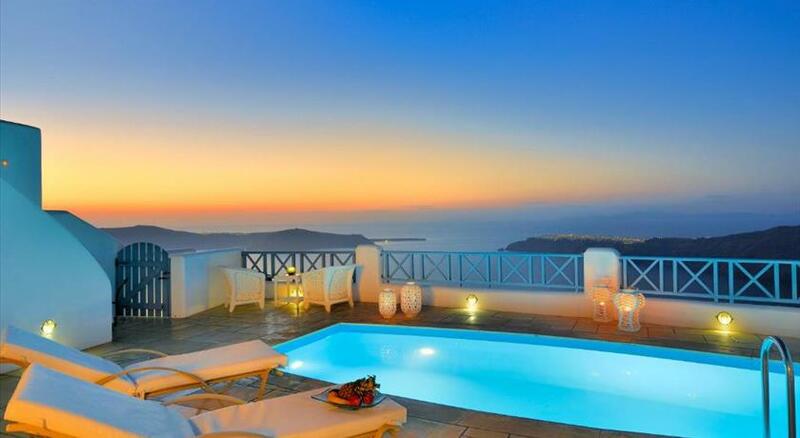 The well-appointed rooms and suites at Andronikos Santorini open to a balcony or terrace with splendid sea views . Some of them boast their own outdoor hot tub . Each includes a private bathroom with a shower, while free toiletries are also offered. A seating area where guests may relax is featured, while a flat-screen TV with satellite channels is available in every unit. Air conditioning comes standard. 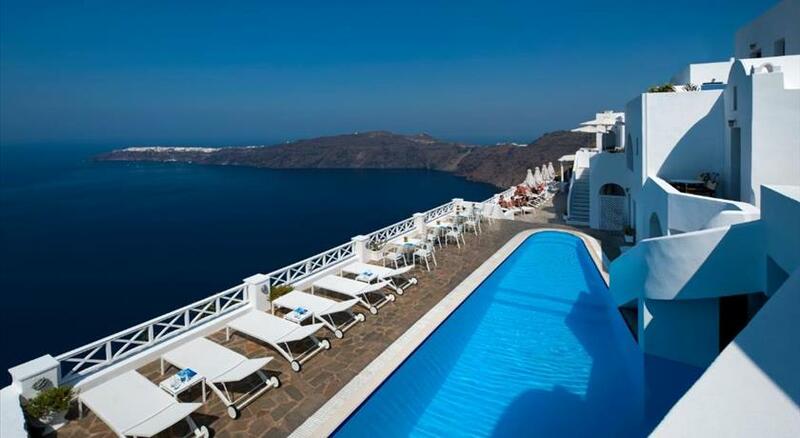 Guests may relax at the sun terrace while enjoying unobstructed Caldera views. Creative Greek cuisine can be enjoyed at the restaurant. Free WiFi is available throughout the entire property. 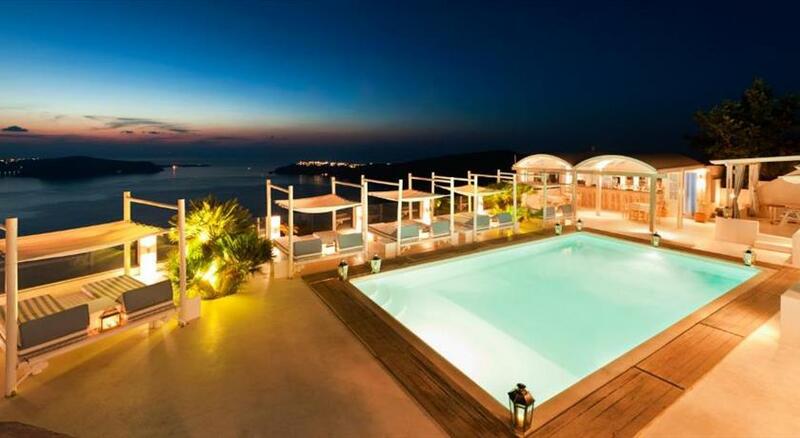 Fira, the cosmopolitan centre of Santorini boasting exclusive boutiques and restaurants , is located within 3 km of the property. 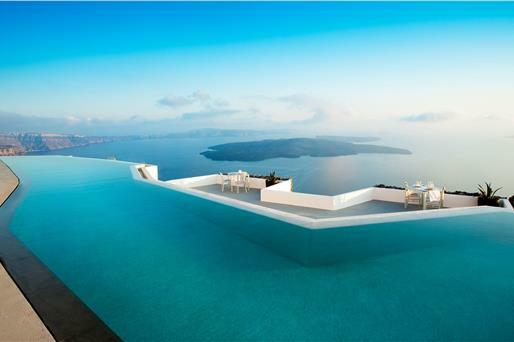 The port is 11 km away, while Santorini Airport is at 8 km. Please note that children below 12 years old cannot be accommodated in Andronikos Santorini due to safety reasons.